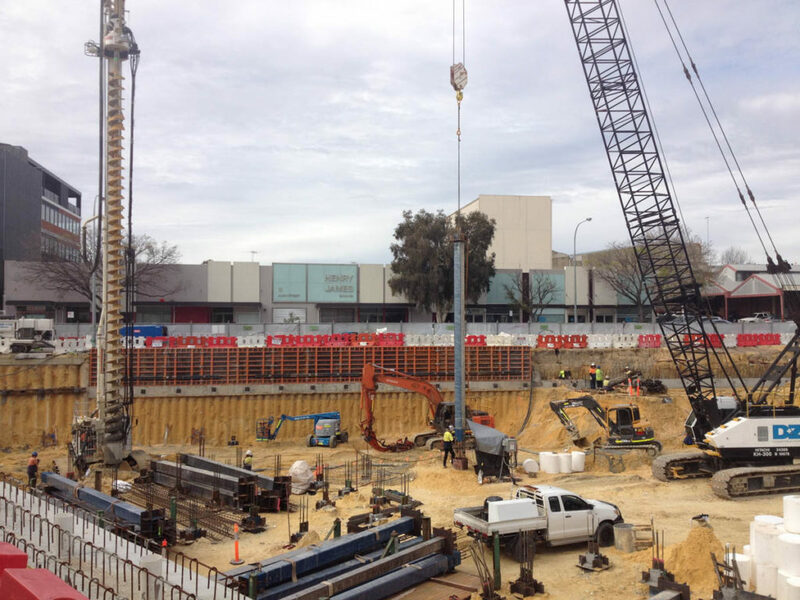 The 500 Hay Project is the largest top down construction project undertaken in WA to date. 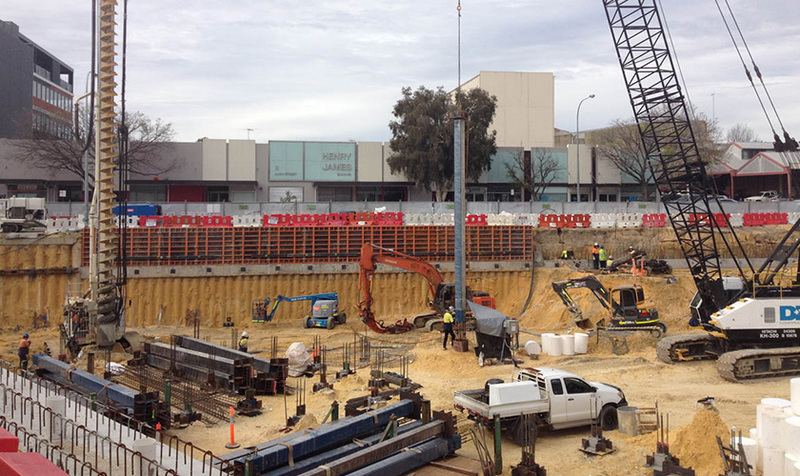 Belpile were instrumental in the development of the top down design for this project, which comprised a 3 level basement in the busy urban environment of Subiaco. 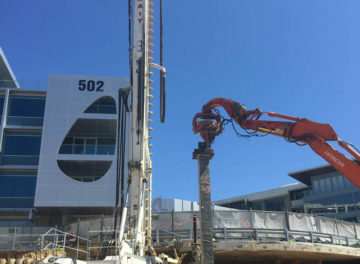 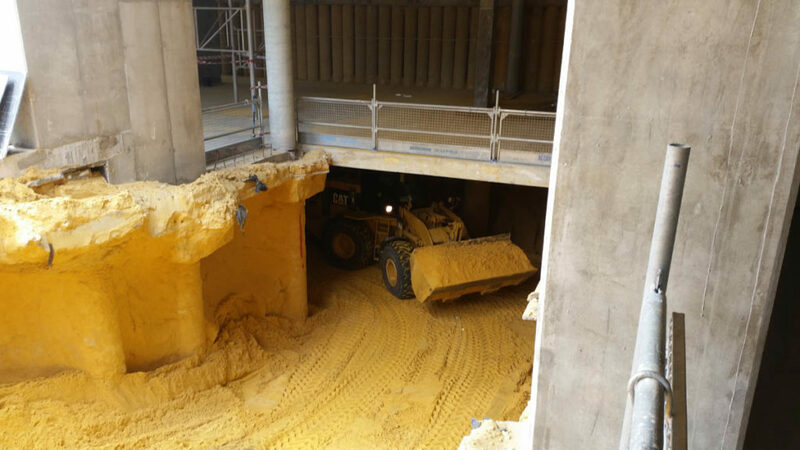 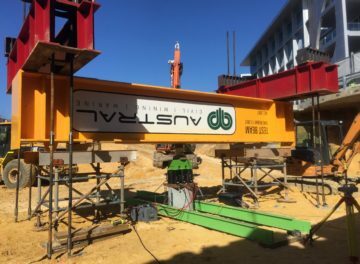 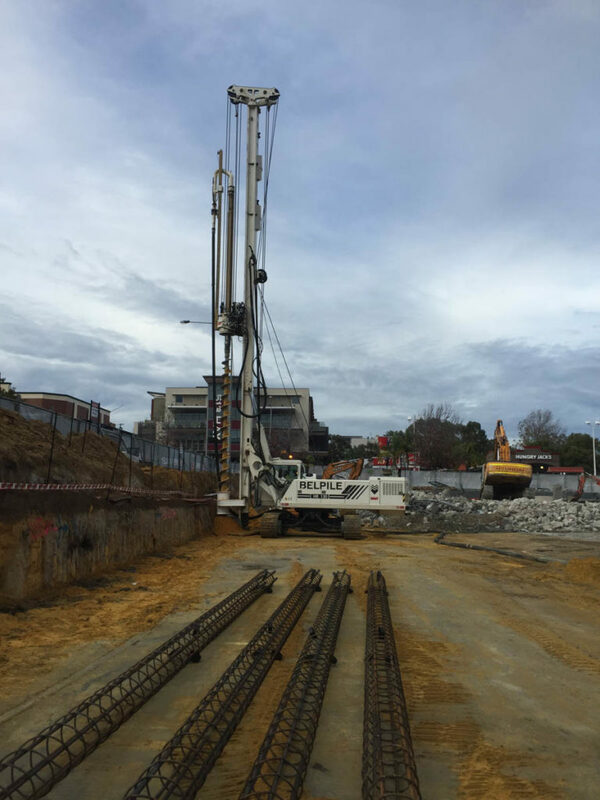 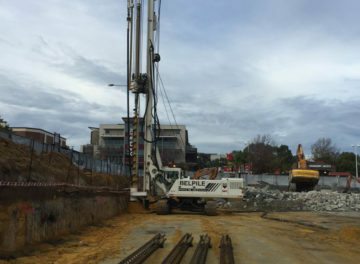 The piling scope involved some 500 contiguous piles of 450mm/600mm diameter and 190 deep plunge column piles of 600mm, 750mm and 1050mm diameter. Heavy steel sections (plunge columns) were installed in the foundation piles to very low tolerance specifications, requiring specialist guides and positional techniques. 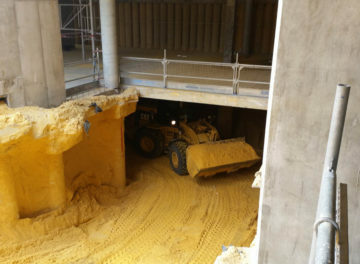 Belpile also installed 70 temporary grout anchors and managed microfine grout injection works. 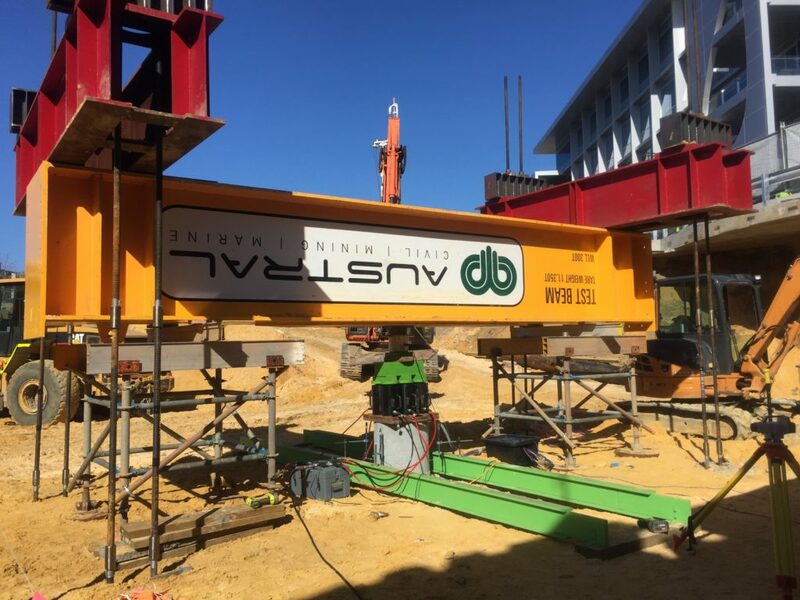 Engineering design for a project of this scale is complex and required a significant forward works testing program comprising a 5000kN static load test instrumented with multiple strain gauges to assess load transfer parameters. 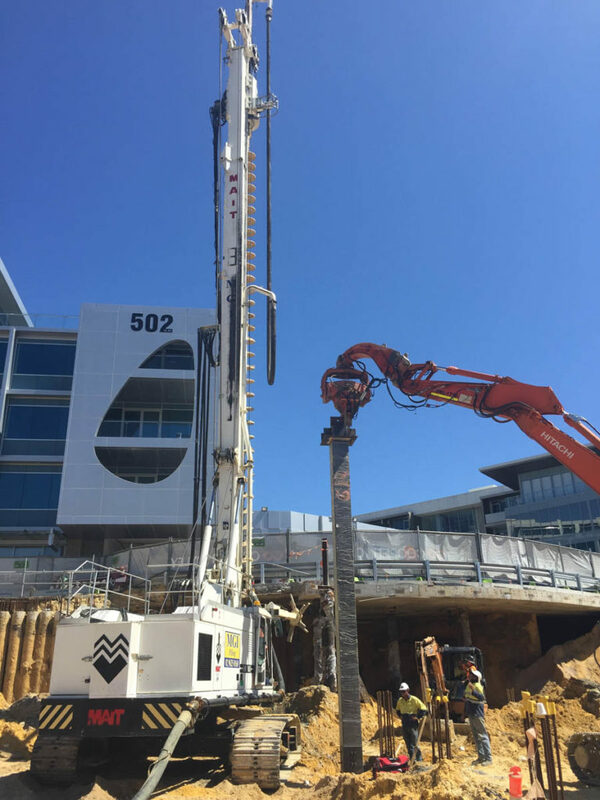 We also undertook significant additional soil investigation to assess the impact pre/post excavation changes in soil strength and pile capacity.